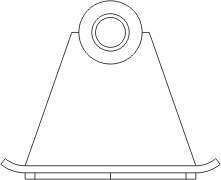 Need to stabilize your machine? 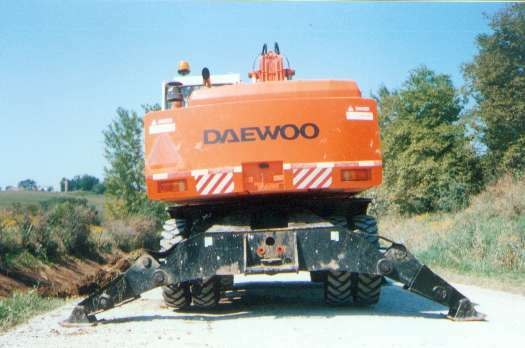 A Daewoo Solar 200 Excavator with Outriggers Extensions installed on the front and back of the machine. Extensions can be placed on the front or back of the machine. Safety and productivity are increased with a stable machine. Helps to ensure your outriggers are set firmly on the ground. Outriggers Extensions by PWCE will help to stabilize your machine. Safer working conditions for your employees. Paul Wever Construction Equipment is dedicated to product support for the construction equipment industry. We provide owners, operators, and dealers with solutions to their problems. If you have a need for trouble shooting information, engineering services, new product development, or current product support, please give us a call. If you have any questions, please contact Paul Imm - Sales Manager. Paul Wever Construction Equipment Co, Inc. Copyright © 1998 Paul Wever Construction Equipment Co., Inc./Paul Wever. All rights reserved.